The Mafikeng SCENE was born as part of a project to improve the natural surroundings of Mafikeng, and particularly the Molopo river. Funds were allocated by the North West Province from the RDP programme to clean, clear and convert the degraded river area back to its natural state. This included the natural filtration of the town's liquid wastes so that clean water can be passed into the river and Cooke's Lake. This has proved very successful. 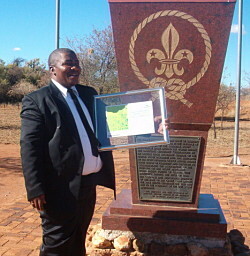 Part of this budget was allocated to the Scouts to erect an environmental education centre on land in the Mafikeng Game Reserve, located approximately 1.5 km outside the town on the Lichtenburg road. A highly effective facility was opened in 1999. 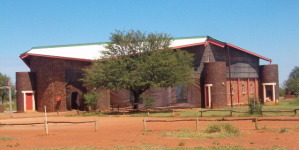 The Mafikeng SCENE now consists of twenty campsites, a covered assembly area, workshop rooms, a dining room, kitchen, large ablution block, bunkrooms, a store, accommodation for a manager, caretaker and twelve volunteers or teachers. All buildings have been designed to complement the environment. 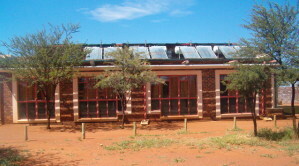 Innovative and prize-winning techniques have been used to maximise energy efficiency, some of which have not previously been seen in South Africa, and which have proved very effective.